Coloring combining exclusive permanent action and a valuable cosmetic action. A creamy base due to its balanced texture is distributed on the hair with ease; particularly sensitive and full of nutritious ingredients , emollients , moisturizing and protective , as , Argan oil wheat germ oil and olive oil that gives the hair Shine , brightness and silkiness is skillfully combined with a balanced formula with a balanced content of ammonia to achieve extremely high performance of total coverage , staining color stability and resistance to change. 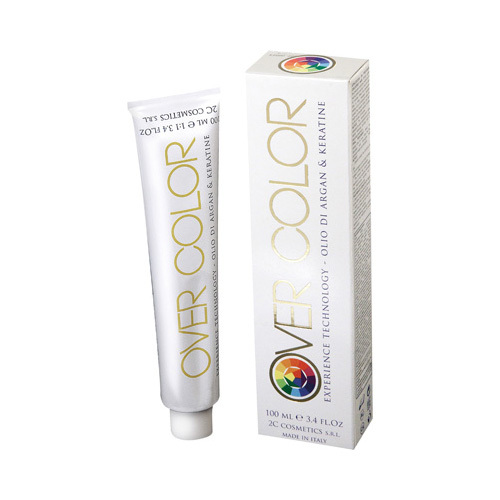 An innovative formula , then , designed to protect the hair , thanks to the strengthening and elasticizing action of keratin and to meet the needs of the professional color with last generation pigments to the highest degree of purity that enable you to create and customize unique , intense colors and bright. shades: available in 56 nuances in natural NATURAL INTENSE: , ASH , VIOLIN , GOLDEN , CHOCOLATE , tobacco , COPPER , red COPPERY MAHOGANY red LIGH LIFT COLOURS , SPECIAL STREAKS , SPELL. -40 volumes: to lighten by 3 or 4 tones. To lighten more than 4 tones suggest using the superlift nuances.